So you’ve chosen the right frame size, but that doesn’t mean your bike fits yet. There’s a lot you can – should – do to tune your machine to your own physique. Why? Here are five ways to keep bike setup simple. The stretch from the saddle to the bars determines your riding position. Ideally your spine should lean at around 45 degrees, and you’ll comfortably reach every part of the bars with your elbows slightly bent. An excessive stretch is quite common, especially for women, who often have relatively shorter torsos than men. You can adjust the reach with longer/shorter stems or bars with a different reach. 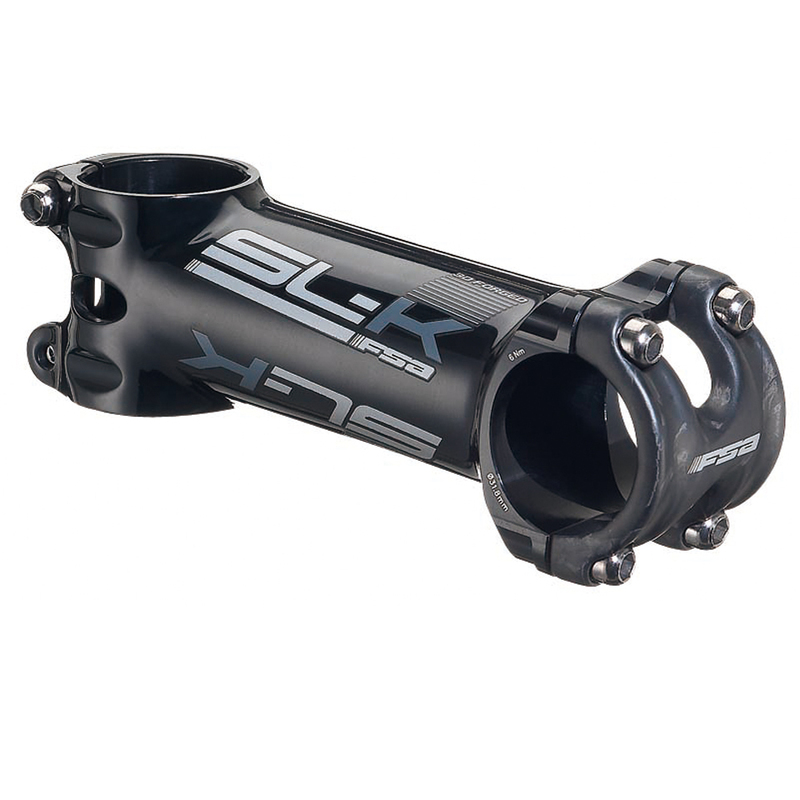 For example, the ultralight carbon and aluminum OS-99 CSI or the aluminum SL-K offers stem (pictured below) with its +/- 6º rise, which is available in every size from 70mm to 140mm, allowing huge adjustment. Ignore the old advice about drops parallel to the ground – it will almost certainly put too much weight on your hands. Rotate the bars until you get a comfortable bend in your wrist and the hoods aren’t trying to pull your thumbs like wishbones. Height is also key. If you’re racing you’ll want the bar lower than the saddle, but otherwise level or even higher is fine. The defining factor? Comfort. Carbon fiber damps vibration for enhanced long-distance performance, while a shallower drop, such as the 125mm K-Force Compact, is more comfortable. If you’re racing, there’s still no need to suffer – the 150mm-drop K-Force New Ergo bar has large-radius curves and a wide, flat top to reduce fatigue. Seat height is vital. Your knee should have a slight bend at full extension. Adjust by raising the saddle until your leg is straight with your heel on the pedal. If your hips rock, your saddle is too high. With the pedals level, your forward kneecap should sit directly above the pedal axle. A plumb bob or laser pointer helps here. It’s not a rigid law, though: you can also adjust this to fine-tune the weight on your hands. Pressure should be slight, but not absent. Finally, the ‘correct’ angle doesn’t put noticeable pressure on the front or centre of your pelvis. Avoid a forward tilt of more than a few degrees, as that puts too much weight on your wrists. 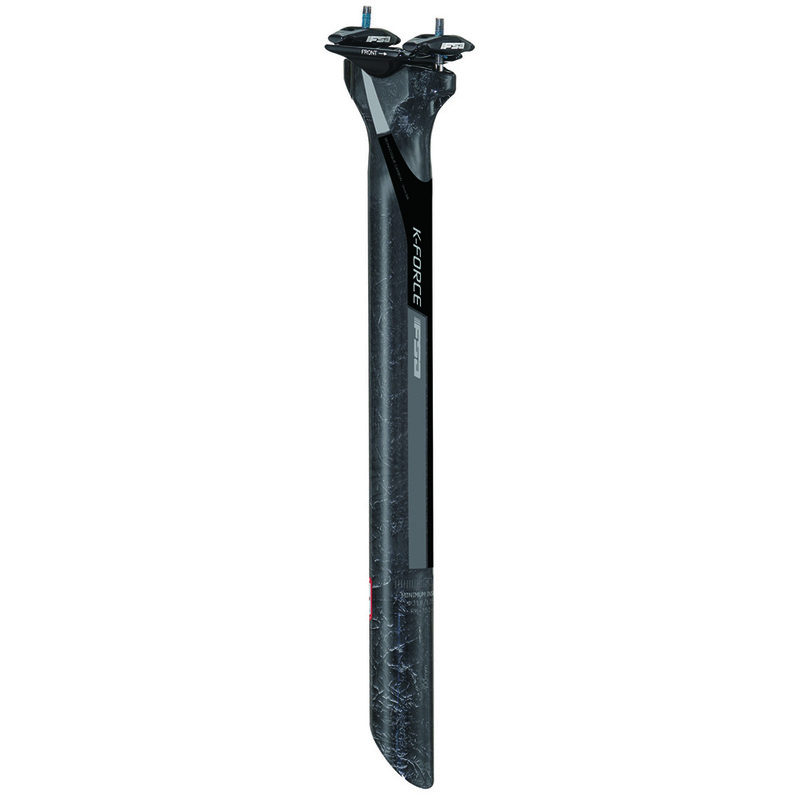 You need a reliable seatpost for all this: the lightweight SL-K posts, for instance, provide incredibly fine adjustment with the fatigue-reducing compliance of carbon. Pressure hot spots cut circulation, while poor angles strain knees and legs. These are not good! When clipped in, the ball of your foot should be over the pedal axle, or a little ahead of it. If you’re straining calves or Achilles tendons, adjust the cleat towards the heel. If your arches are sore, move it towards the toe. Looking down (carefully…) while pedalling, your knee should be over your foot. Adjust the cleat side to side so your foot is neither outside nor inside your knee. Your cleats should also mimic the natural toe-in/out angle of your feet – and bear in mind they might not be the same on both sides. Combining these five tips should get you the optimum bike fit with the benefits of riding faster and longer in better comfort, and avoiding risking injury. Happy riding!